Radiance Quilt Pattern by Missouri Star - Missouri Star Quilt Co. - Missouri Star Quilt Co.
X definitely marks the spot with this impressive looking quilt made with Rob Appell's beautiful Burst Block template. But don't be fooled, it's simpler than it seems! It creates an amazing dynamic effect without a lot of fuss. 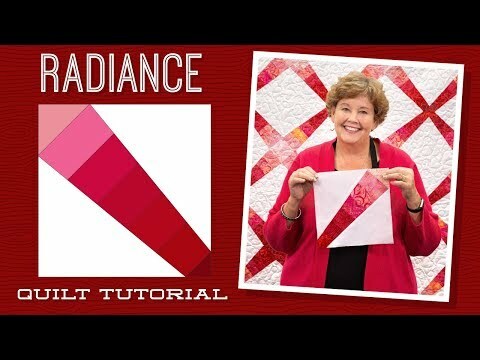 To start, piece together a gradient of your favorite 2 1/2" strips and add a package of matching 10" squares for a finish that's sure to radiate beauty! Quilt pattern for 2.5" strips and 10" squares.